Find Your Perfect Swim Spa! There is no other name in aquatic fitness that is as recognized as Endless Pools®. Endless Pools® Fitness Systems combine beautifully functional design with advanced swim-in-place technology to create an at-home wellness system that doesn’t compromise style for functionality. SwimCross Exercise Systems stand out from other jetted options because the five swim jets are air-free and produce a less turbulent current than the typical jetted swim spa. From novice to expert swimmers, all will enjoy the systems’ five output levels, as well as the workout options of rowing, resistance exercise and relaxing hydrotherapy that are also available. The swim jets in SwimCross Exercise Systems are designed for both swim and water-workout options suitable for all ages, sizes and skill levels. It just fits your life. Balancing daily demands and spending time with family can be a challenge. Finding an Aquatic Fitness System with the functionality and quality you deserve, at a price you can afford can be equally daunting. Until now. 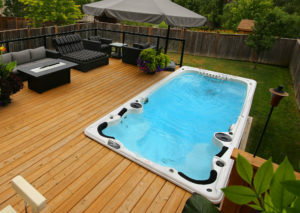 Hydropool Swim Spas offer a premium experience without the premium cost. 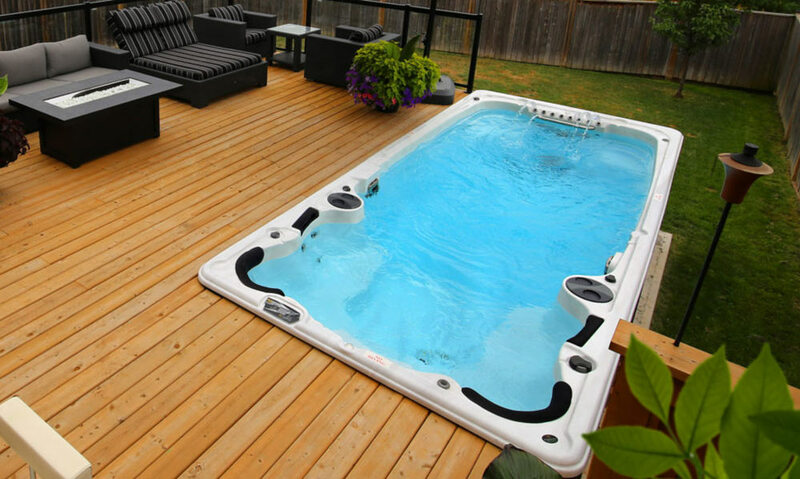 Hydropool Swim Spas are Self-cleaning meaning they clean 100% of the water every 45 minutes. So instead of worrying about maintenance & cleaning you will have more time in the swim spa to relax or exercise. The AquaSport Swim Spa has the exercise benefits of the AquaTrainer but at a more affordable price. This swim spa features Hydrotherapy massage seats, plus you can use the AquaCord swim-in-place harness with the swim jets for swimming resistance! 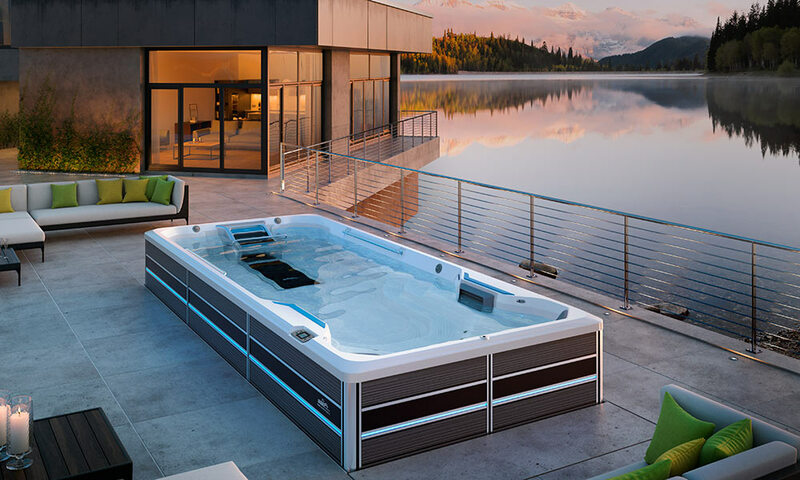 The AquaTrainer Swim Spa is a like a pool, hot tub and aquatic gym all-in-one! With variable resistance, an adjustable current stream for the ultimate exercise, it also includes the thigh/abductor jets for a lower body massage plus two multi-hydrotherapy massage seats! Tell me…what is a swim spa?